truly) before the holiday season is an interesting phenomenon. something a try, there must be something to it. No doubt, the E-Revolution is part of this crop of indie books. Gaughran (note this does not include Children’s/YA). get him. Will Fate intervene? flyer, she ventures out to meet her world’s fate, the last stand. incites a dangerous pursuit by the enemy – Satan’s minions and Tristan’s creators. it’s accident, suicide—or murder, in which case, Nicky is the prime suspect. in the state of Arkansas to get that stain out, and Rose is the prime suspect. mate. But time is running out and Michael is falling for the wrong girl—-her. impossible to leave…Seventeen year-old Abby Rhoades knows this all too well. practically the flag flying from the top. Except this time her heart is broken. her help can Reychel learn to believe in herself? roots of her new “ability”. Slowly, Lola learns to control the new super power. thought anything could be worse than being forced to leave the faerie realm. Getting Sideways (Book Two in the Full Throttle Series) by Lisa Nowak (Contemporary) Available November 2011! in his power to see that humans never come in contact with dragons again. 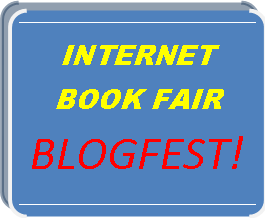 Click here to see even more books on the Internet Book Fair! So many great books here! Thanks for including DESTINED in your list! Wow! There's a lot of great looking books here. Thanks for putting up this list and for including my book, BOUND, in it. You're the best. Wow, Susan! What an amazing job you've done putting this together! :o) Thank you so much for the mention! Some really interesting books here, Susan! Every time I see a listing of good books, I miss my Kindle more. Did a round up yesterday and included your book. What a great idea! I'm adding to my Goodreads list. Oh, wow! So many great books, so little time! Thank you Susan. I hope that everyone is getting their names out there and excitement is growing around these books. Thanks for promoting the event, you really brought quite a few authors to the list. How generous and gracious to include so many fellow struggling authors in your book fair entry. If you have the time, visit mine — if you buy a copy and post a review on Amazon you could win a Kindle Fire, a JK ROWLING autograph, a STEPHEN KING autograph, a CHARLES SCHULZ autograph and more prizes! Come check it out, why don't you? Great self pub lineup! The fair is a super idea. Have fun. Wow, this is an incredible list. Thank you for all the time you spent compiling these books. Happy reading! Glad you're part of the Book Fair. Can't wait for next week!!!!! Those are some awesome books! Thanks for putting them in all one place like this. That had to have been so much work! Many thanks. That's an amazing list! I have so many books on my to-read list I'm afraid I'll never keep up. But I did download Noah Zark. Good luck to all these brave writers! They're paving the way. Wow Susan! Impressive list. Thanks so much for including me on here. I know I'm going to have to check a few of them out. That's an impressive showcase, and I have a few these on Kindle already! Oh YAY! Thank you so so much for shouting out about my book – I really appreciate it! 🙂 And I'm starting Open Minds tonight – I can't wait. I see so many great books on your list and I'm thrilled to be a part of it. Love this! I hope you'll do another one in January after we all get our Christmas Kindles! Awwwesome idea! Am so getting goodies from this list! P.S. Thanks for adding mine…so great to see middle grades out and about. There's a few here that are my list. I just have to get through my TBR pile first. I'll tweet about it and spread the word! Great idea! This is truly a fantstic list of books. I've read some of them, but it looks like I'll have a lot of reading to do over the Christmas break 🙂 Yay! Wow! What an amazing lineup of books! Thanks for putting them all together here. I'll have to bookmark this page so I can remember to download some of these. TERRIFIC SELECTION of books. MY… Congrats on you new novel! IT sounds awesome. I can't wait to get my hands on it…. This is a incredible list and I love that I recognize several of the authors!